LG has launched two new laptops, the Aurora Xnote S430 (14-inch) and S530 (15.6-inch) and are packed with LED LCD displays with 1366×768pixel resolution. Both of them are designed for style conscious buyers. Both have Aurora Purple or Aurora Blue color options with LG’s exclusive Crystalline Finish lids, which uses Non-Conductive Vapor Metallization technology. 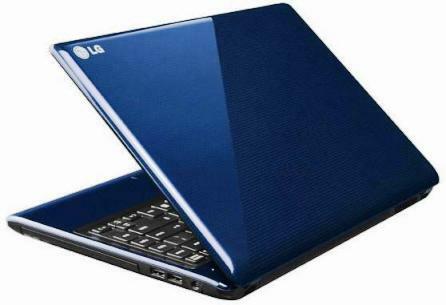 The glossy exterior also provides improved scratch resistance and a strengthened cover. You can choose from the following options, S530 has an optional HD+(1600×900) display, processor options-Sandy Bridge Corei3/ i5, graphics options includes – AMD Radeon HD6470M with 1GB DDR3 or Intel HD Graphics or Intel HD Graphics 3000, OS-Windows 7 series, up to 8GB of DDR3 memory, maximum of 750GB storage space. Common options includes Gigabit LAN, Wi-Fi, Bluetooth 3.0, 7-in-1 card reader, DVD super multi, three USB 2.0 ports, VGA, HDMI, DVD writer and 6-cell Li-Ion 2200mAh battery. There’s also an HD web cam, SRS Audio. The LG S430 and the LG S530 currently available in Korea and will become available in the Middle East, Africa and Asia early September followed by Europe, the Americas and CIS later. Currently there is no news about price but it will be touching $1,000. Tags: Lg Aurora series notebooks, LG Aurora Xnote S430 notebook, LG Aurora Xnote S530 notebook, Lg Aurora series laptops, LG Aurora S430 laptops, LG Aurora S530 laptops, availability, price, imgs, images, pics, pictures, cost, specs, details, Specifications, review.